The JOHNFORD HT Series High Quality Turning Centers are designed out of the ordinary to meet what you need not only today, but also in the future. The HT Series starts with a time proven slant bed design for rigidity, chip flow, accessibility, and space saving characteristics. 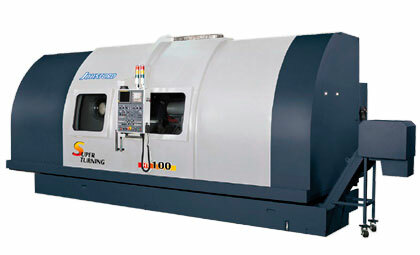 These machines are built for outstanding performance in medium and large lot production runs. They always deliver the precision and efficiency that are far beyond the ordinary. All the specifications are listed with the FANUC CNC system.